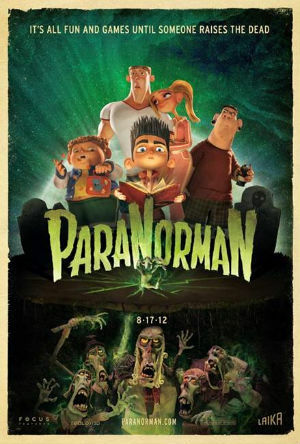 We went to the newly opened cinema located at Johor Jusco (near Bukit Indah) & watched Paranorman 3D movie last weekend. A very funny & spooky movie about a little boy with a supernatural gift who can communicate with the dead people :) YS enjoyed the whole movie like I did, YQ was basically covering her eyes most of the time and Junior YS could not sit still throughout the whole show *shake head*. I loved the new cinema & all the seating were very spacious. If you are a Citibank credit card holder, you can even purchase the ticket at 1 for 1 promotion (all year long) but does not apply to 3D movies though. Although I was not entitled to buy the tickets at their promotion price but what the heck! The ticket pricing was quite reasonable at only RM$21 for adult & RM$13 for children. I decided to take a break from the shopping & bought the tickets instead. I realised that nowadays people hardly go to cinemas anymore as all the Vcd / Dvd pirated movies can be bought very easily everywhere. Once in a while, we should indulge ourselves & go to the cinema. After all, the sound effects & atmosphere do make a little bit difference to our movie experience. I self made some funny comic pics about the dilemma of the VCD seller...enjoy yah!